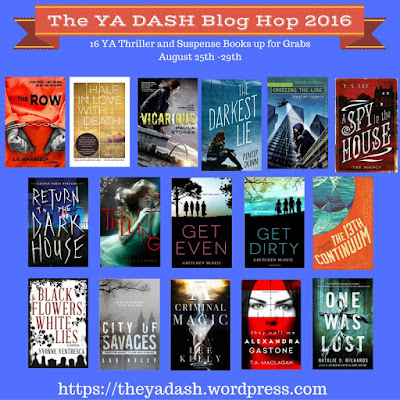 What is the YA Dash, you ask? It's a blog hop where you can win a slew of awesome YA suspense novels. Participating authors were asked to put their posts up early so the organizer can make sure everyone's links are working, but the YA Dash officially starts at 8 a.m. Eastern Time on August 25th and ends at 11:59 p.m. on August 29th. If you have shown up early, some of the links might not be functioning yet. For more info, check the official site here. Here are all the books you can win! Pretty sweet, huh? 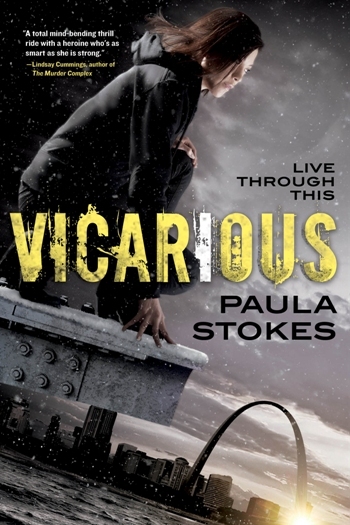 I'm giving away a hardcover of my new thriller VICARIOUS. Vicarious features sisters, high-tech stunts, murder, car chases, knife fights, shark diving, shocking revelations, and a diverse cast of characters. And you can click here if you want to check out the first seven chapters of Vicarious for free. Winter carries throwing knives and I like myself a good old-fashioned fictional stabbing, but since that is not an option, I'll go with my second choice, which is F for Fire. I've got a secondary contest for a second signed Vicarious hardcover giveaway for people with a US address. INT people, you're welcome to enter this Rafflecopter too, but I'm limiting my INT postal allowance until I have ARCs of FEROCIOUS to give away, so the INT prize for this RC is signed Vicarious swag. Ready to keep dashing? Author Y.S. Lee has the next stop! I have been on a kick to varietize my TBR so I haven't read any thrillers recently but they are usually my favorite! I'm excited! So glad that you're part of this! I really want a copy of your book! Anyway, the last thriller novel i read was The Diary of A Haunting. I never read horror/thriller before so there was a beauty of anticipating what will happen next! It creeped me out and swore not to read horror again but truthfully it wasn't that bad. This year, I really like GIRL LAST SEEN (YA) & BEFORE I GO TO SLEEP (ADULT). For GLS, I really like how the authors added songs to the book, how it's very timely, and I love how it ended. lol I'm so mean! For BIGTS, I love the plot twist. That was seriously scary. The closeat I've come to a thriller novel this year was the Dashner series Maze Runner. These books freaked me out sometimes and kept me at the edge of my reading chair! Loved that heart-racing feeling. I loved Beacon 23. It is a great story! I think the last thriller I read (that I really enjoyed) was My Name is Memory by Ann Brashares. Unexpected twists and turns and SUSPENSE from her! Love love LOVED this book. Still waiting for a sequel, though... Thanks for doing a giveaway, Paula! VICARIOUS: Guess the title to the sequel! 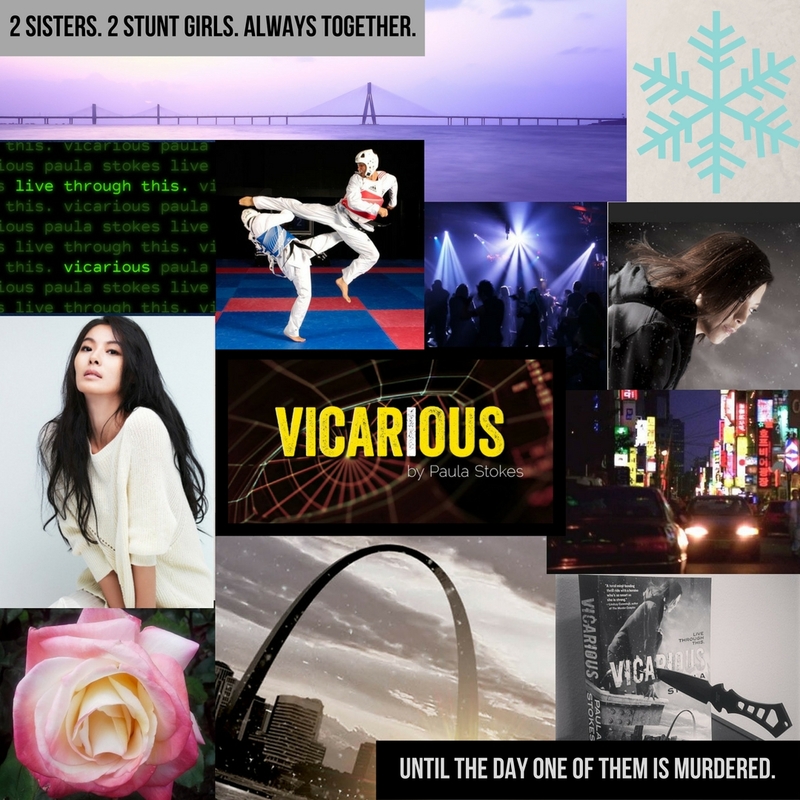 Five fast facts about Vicarious + a giveaway!